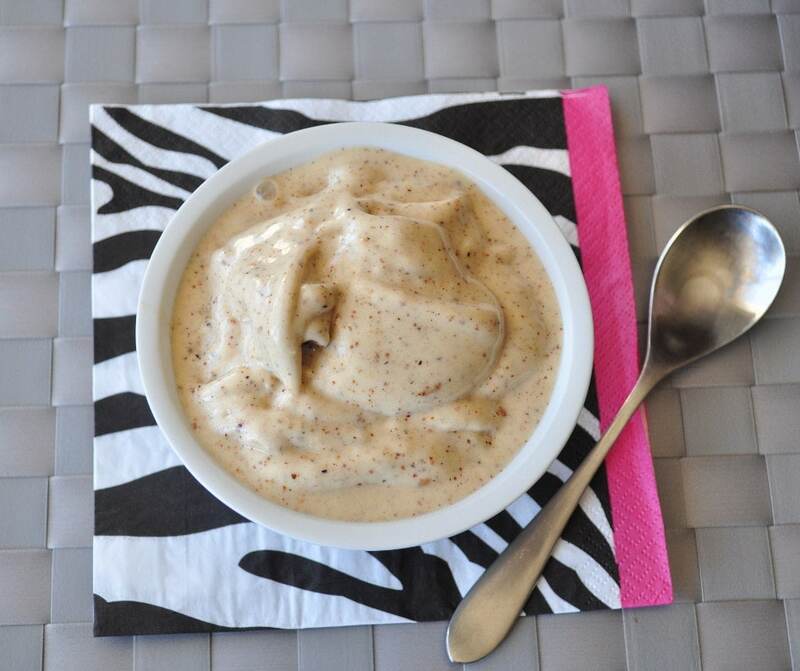 This 5 Minute Banana Ice Cream is LIFE CHANGING. Seriously. Sometimes you just get a craving for some ice cream. I make banana ice cream when I get those cravings. Most store bought ice creams are laden with additives, saturated fat, processed sugar and too many calories. I have an ice cream maker, but sometimes I forget to put the bowl back in the freezer. 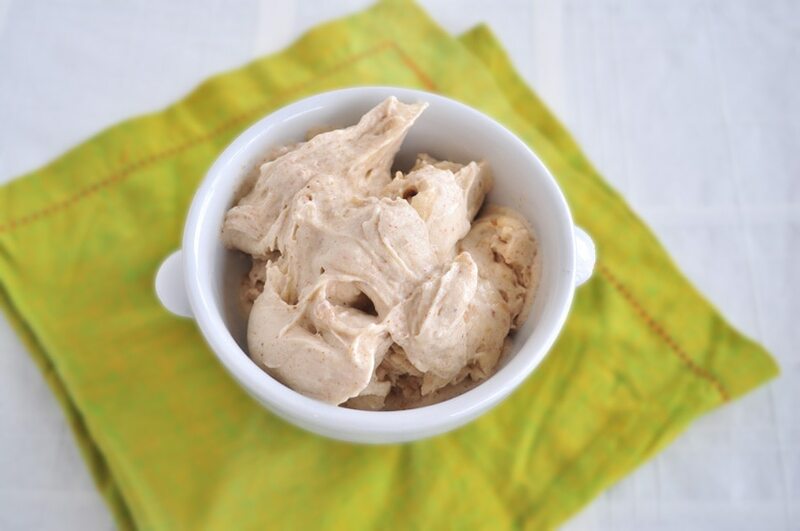 So when I have a sweet craving, I make this super easy vegan banana ice cream. I have a smoothie version of this as well. My Tropical Smoothie Peanut Paradise is made in a similar way. The best part of this recipe is that you don’t need an ice cream maker to make this. I use my vitamix, but I have used a magic bullet in the past as well. You will be surprised at how decadent this banana ice cream tastes. You will feel like you are cheating! Can it get any easier? I have used this many times to curb a sweet craving. It really works! Looking for more banana ice cream recipes? This stuff is so rich and delicious, it feels like you are eating real ice cream! In a blender, , mix the bananas and the milk. You may need to cut the banana into chunks depending on how powerful your blender is. Once they are partly chopped up, add in the nut butter. Continue to blend until you get a soft serve consistency. You may not even need to add the milk at all, but I think it helps blend everything easier. Spoon ice cream into a bowl and stir in any additional ingredients you desire. That’s it! Could I do with strawberries?? You can blend them in as well to make a strawberry banana ice cream. I just made this and it is AMAZING and sooooo easy!!! Thank you Melissa!!! Me too! Last week I had some regular banana ice cream...for the last time. You can just taste the loads of sugar, artificial flavouring and who knows what else, no real banana anyway. Have you ever tried with PB2? No, but I am sure that would work. OK this pretty much is a game changer for me! I had heard about banana ice cream but never tried it. I was out of almond milk so used cold water to thin it. It is AMAZING! THANKS! You are so welcome Wendy! So glad you liked it! Could I make this in my ice cream maker without pre freezing the bananas? can this be stored or is this a make it and eat it recipe? I make mine to order, but I know people that have made big batches to store some. LOATHE bananas! !!!! Please suggest substitutes !!!!!!! Pingback: Senzacionalan sladoled od smrznute banane za 5 minuta – samo 3 sastojka!